There are some other good deals to make note of as well. 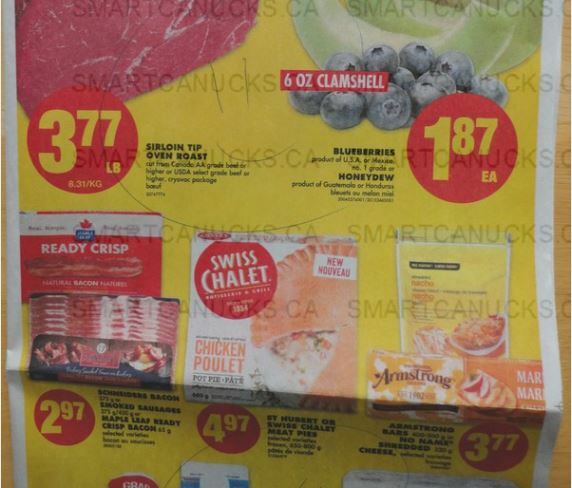 The Maple Leaf Ready Crisp bacon is $2.97 and there are coupons for $2 off from a couple months back. Also, Schneiders smoked sausages are just $2.97, and there is currently a tear pad coupon out there for $2 off, making them just 97 cents as well. If you don’t have the Schneiders coupon you may still be able to find it. I’ve noticed a plastic container full of them at Fortinos near the product this last week, so keep an eye out.